On Wednesday, November 6, in New York City, Cisco Chairman and CEO John Chambers will host a news conference in partnership with Insieme, its spin-in start-up focused on application-centric data center architecture. The keynote/news conference will be webcast live. 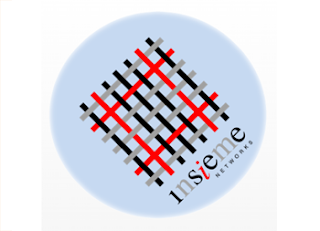 Insieme has not yet publicly disclosed its product plans or technology strategy. The company is believed to be developing customized silicon for SDN, although various media sources report that the first products may use merchant silicon as well. As of September 30th, Chunghwa Telecom served 2.90 million FTTx subscribers, accounting for 63.7% of total broadband users. Moreover, the number of subscribers signing up for 60Mbps and higher speed connections increased by 32.7%, reaching 1.09 million. On the mobile front, Chunghwa had 10.55 million mobile subscribers, representing a 3.4% year-over-year increase. In the third quarter of 2013, the company increased the number of mobile Internet subscribers by 60.7% year on year or 1.35 million, reaching 3.57 million and growing its market share to 34.1%. Mobile VAS revenue for the third quarter of 2013 increased by 37.4% to NT$7.37 billion, with mobile Internet revenue, the largest contributor to VAS revenue, increasing 58.5%. Dr. Yen-Sung Lee, Chairman and CEO of Chunghwa Telecom, commented, "We are proud of the success we were able to achieve in the third quarter and very excited with the results of the recent 4G auction. Having secured 35 MHz of spectrum, the largest amount in the auction, including the highly-sought-after deployment-ready 1800 MHz spectrum, we believe we have the potential to be the first-to-market in offering 4G services throughout Taiwan in the second half of 2014. Through attraction of new users and vertical migration of existing users to higher tier data plans, mobile Internet subscriber growth continued to exceed our guidance. We further extended our market leadership in mobile, growing our mobile internet subscriber market share to 34.1%. In the smart phone segment, through the successful implementation of our promotional initiatives, we grew our smartphone penetration to 50%, necessitating we revise our year-end guidance upward. The FCC issued a Notice of Proposed Rulemaking (NPRM) paving the way to allow Globalstar to deploy a terrestrial broadband network over 22 MHz of spectrum in the 2.4 GHz band. Globalstar said the proposed new rules would allow it to provide terrestrial broadband services over its 11.5 MHz of previously-licensed S-band spectrum at 2483.5-2495 MHz, as well as the adjacent 10.5 MHz of unlicensed spectrum at 2473-2483.5 MHz. 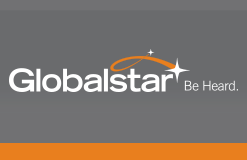 "The FCC's release of Globalstar's requested Notice of Proposed Rulemaking last Friday represents a seminal development and yet another step forward in Globalstar's renaissance," said Jay Monroe, the Company's Chairman and Chief Executive Officer. "We look forward to receiving the public's comments and working towards a final order over the next several months." 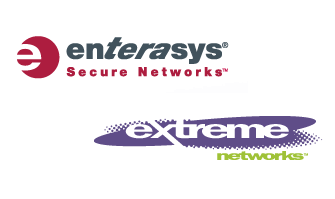 Extreme Networks completed its acquisition of Enterasys Networks. The deal was valued at $180 million in cash when it was first announced in September. The combined expects to achieve revenue of over $600 million annually, ranking it the fourth largest Ethernet networking vendor. 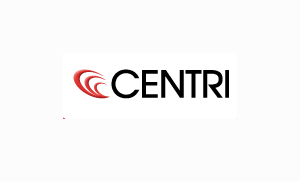 CENTRI Technology, a start-up based in Seattle, announced a $13 million Series C round of financing to support its mobile bandwidth optimization and bandwidth management solutions. CENTRI’s BitSmartCX platform uses patented optimization techniques that dynamically reduce the amount of data transmitted across the network via byte-level caching technology, between the device, the radio network backhaul, and the network core. The platform can also provide encryption in the same pass. The solution could be applied at network aggregation point, within the radio network base stations, or within the endpoint device such as a smartphone, mobile tablet, smart meter, point-of-sale kiosk, automobile, etc. CENTRI’s latest round of funding includes investments from Angel Valkyrie, LLC and participation from existing investors. Australia's NBNco has begun posting weekly updates on the rollout progress of its new infrastructure. Of this total, 40,441 are receiving the NBN via fibre to the premises in brownfields communities with a further 21,801 fibre users in new developments (or “greenfields” estates). There are 3506 fixed wireless users. In the brownfields fibre footprint specifically, 229,398 premises are passed by the fibre optic cable. Of these, 158,712 premises – or 69% – are currently able to order an NBN service.